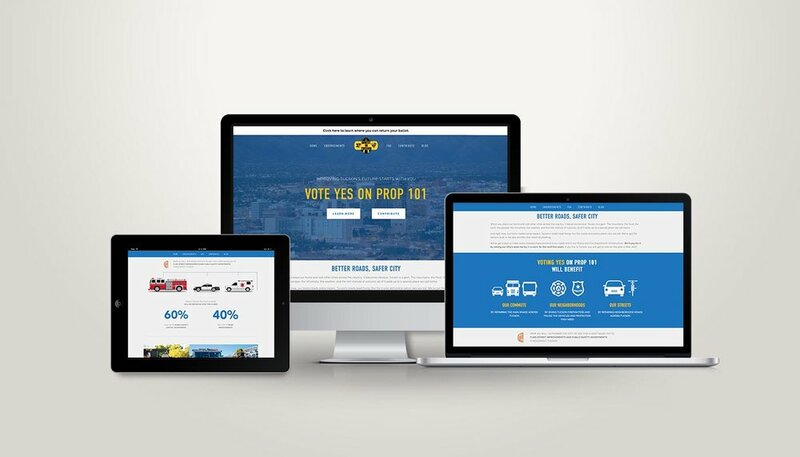 Gordley Group led a major grassroots social media effort, using Facebook, Instagram and a dedicated blog to increase the community’s understanding and build support for Proposition 101. Our team created visually engaging and easy-to-understand infographics; a series of videos with both animated graphics and interviews with firefighters, police officers and community stakeholders; and materials for direct, door-to-door contact, all based on the distinctive brand we created for the campaign. This campaign ended in resounding success. The proposition passed with 60 percent of the vote - earning 41,260 “Yes” votes to 25,413 “No” votes. Gordley’s efforts in the successful campaign have been recognized with a Public Relations Society of America IMPACT Award for excellence, and received recognition for finding common ground from the Metropolitan Pima Alliance.